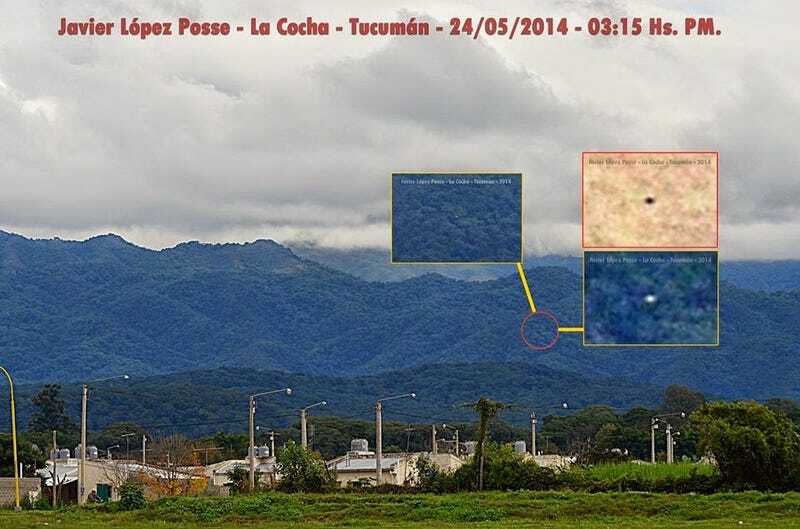 This UFO was captured in the skies above Tucumán, Argentina. What kind of craft could zoom so close to the treetops and then into the skies? A mysterious dot of light - manmade, natural or alien, take your pick - was photographed by Javier Lopez Posse on May 24, 2014 in daylight on a cloudy fall day. Nothing like enhanced images of teeny dots to make me a believer.